Throughout life, we who are of the Kingdom of God will be faced with greater challenges, greater levels of faith. We will have to learn to trust God with parts of our lives that we haven’t relinquished control of because we’re afraid. We’re afraid that if we make one move something may not work out right. Or, if we pursue what’s really in our hearts, then we may be greeted with disappointment or failure. Sometimes, though, God puts something in our hearts that is unmistakable. We know without a shadow of a doubt that it is Him moving us, speaking to us, pushing us out of our comfort zones to prepare us for the next level of faith. God has provided a path for us to walk that has everything we need, but sadly, we let fear keep our feet locked in position, refusing to make a move. For me, it has always been the fear of not having enough, not being able to care for my kid, having to resort to God-knows-what to survive. I was always taught to never make a move without having something secure in place, but that, my friends, speaks to the logical. What I’m talking about is faith. We have to get to the place where we become radical in our faith. Not on some religious, “hold my mule”, 3 holy ghost spins and a Shabach-faith either. No matter what is going on around me, I will chase after God. No matter what is going on in the economy, loss of jobs, lack of financial stability, I will pursue what He has for me. No matter what my mind says I should do, I will follow my heart, for in my heart lies the inner most desires. You have to be crazy as Hades to act on those things. But if you’re crazy enough, there is great reward awaiting you. 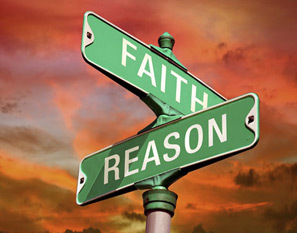 I want to get to the place where I’m so doggone faith crazy that my logical mind no longer rules. I want my faith to rule and my mind to drool. @Creflo_Dollar: When u speak words, u are writing them on your heart; whatever is in your heart will come out & manifest in your life (Ps 45:1). You may not like either pastor but, whoo those were right on time! Pursue God. Pursue His passions. Don’t let money or status or reputation keep you from pursuing your heart’s desires. The desire you have to do _____________________ (fill in your blank) because HE put it there. That ain’t chu. That’s Him, tugging at you, nagging you, filling your head with dreams and visions of a greater you, a greater life.